Let's take a look at the Yamaha MOXF6, 61-key and MOXF8 88-key keyboards. Pros of this keyboard includes the fact that it's light. For live use, it's a great choice. And added to that, the MOXF serves up the majority of Motif XF features for a far lower price. The MOXF6 sells for about $1,199.99 online, while the MOXF8 sells for $1,699.99. As for the cons, if you're new to the Motif series, the interface may take a while to understand. I also found the pitch bend wheel to be a bit sluggish to return to the center. The keys don't sense aftertouch and it comes with stereo main outs only. But to me this isn't such a big deal. The positives of this keyboard far outweigh its limitations. It's worth every cent. The MOXF is an updated version of the MOX series. It makes use of the latest MOTIF XF technology. Yamaha has added more sounds, more effects and even a Flash board option slot. 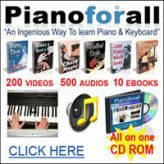 If you're looking to purchase a Yamaha Motif keyboard but you don't want to spend over 2 grand or even three grand for a Yamaha Motif XF, this is the one for you. You get the best features of the legendary Motif XF workstation for a fraction of the price. The Yamaha MOXF6 and Yamaha MOXF8 are compatible with XF and MOX data and have a huge collection of sound and sample libraries and optional software. The keyboards are expandable, portable, compatible with a wide range of products and affordable. 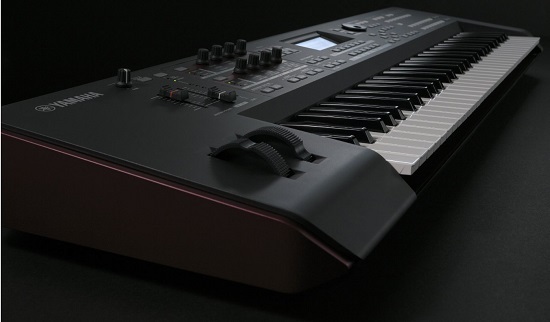 If you're looking for an affordable keyboard that combines the MOTIF XF sound engine and Flash memory expandability, USB Audio/MIDI interfacing, a MIDI keyboard controller with extensive DAW and VST control, onboard sequencing and an extensive DAW/VST software bundle, you've found it. This keyboard comes with so many high quality sounds of such a wide variety. It's truly amazing. You will be impressed by its many pianos, electric pianos, orchestral sounds, guitars, basses, strings, wind instruments, and drums. It comes with a wide variety of vintage and modern synth sounds. The best thing about the Yamaha MOXF6 and Yamaha MOXF8 keyboards is the fact that they make use of the MOTIF XF sound engine. Yamaha is a piano manufacturer and knows everything about a true, real piano sound. This gives them a major advantage over other music keyboard manufacturers. The MOXF delivers great value in the piano department. It must be noted that in the MOXF, Yamaha has digitally re-created two grand pianos (a 9-ft CFIIIS and a 7-ft S6). 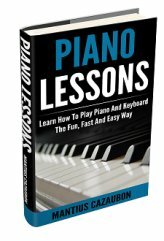 This has resulted in a very detailed reproduction of very subtle nuances that will satisfy the needs of the most demanding piano players. This, combined with the weighted hammer keyboard of the MOXF8 is really awesome! The MOXF contains a total of 741 MB of waveforms as well as 136 new voices. This includes the super S6 grand piano, organs, clavinets and a wide range of new sounds. For the ultimate in sound quality this keyboard will satisfy. You simply can't go wrong. How about music production and computer integration? If you're into music production, you will live the fact that the MOXF has such a wide variety of software that can be easily integrated into your computer setup. Features include the MOXF Editor, MOXF Remote Editor and Remote Tools. Yamaha owns Steinberg so integration with Cubase software is very simple. It's very easy to connect your keyboard to your computer. All you need is a USB cable. You can transmit both audio and MIDI data between your keyboard and computer. With a built-in 4-in 2-out USB audio interface, you can record the MOXF's internal sounds. You can even connect instruments like guitar as well as a microphone (for vocals) to your keyboard and record directly to your computer. The MOXF comes with Cubase AI 7 music production software. This software is made specifically for integration with Yamaha music production synthesizers. You can record up to 32 audio and 48 MIDI tracks. You can record any instrument to your computer via the MOXF. The Yamaha MOXF6 and MOXF8 are built with the live keyboard player in mind. They are so easy to operate. You can get the sound you want very quickly thanks to the category search mode features and sub categories. Performance Creator allows you to easily layer or split performances with a press of one button. Drum Assign gives you access to a huge variety of built-in rhythm patterns. In performance mode, you can combine up to four voices together and play them on one MIDI channel. You can play dynamic layer sounds, solos, drums, bass backing tracks or whatever your preference is together. There are as many as 256 preset performances so no matter what style/genre of music you're playing, you won't be disappointed. One reason I prefer the Yamaha MOXF, particularly the MOXF6 is its lightweight body. The Yamaha MOXF6 weighs only about 15 pounds, (15.7lbs to be exact). The Yamaha MOXF8 weighs just under 33 pounds. As someone who gigs regularly and who has some degree of back pain, it is very important that my instrument is light. The MOXF is great for gigging and rehearsals. Heavier keyboards are better in music studios, since they don't have to be moved around. If portability is important to you, this is the keyboard for you. The MOTIF XF is so much heavier with the XF6 weighing 33.3 pounds and the XF8, as many as 63.7 pounds. And this is before you add a keyboard case. If you're looking for authentic, realistic keyboard response, much like the feel of an acoustic piano, the Yamaha MOXF8 is the one for you. It has a heavy touch in the bass register and a lighter one in the treble. There is a natural gradation of touch in between. 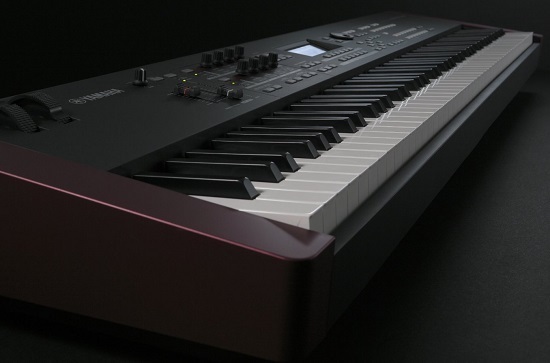 The 61-key Yamaha MOXF6 has a semi-weighted keyboard. The Yamaha MOXF succeeds on many levels. It's great for recording and for performing. It comes with all the killer sounds and most of the workstation features from the XF and it's lightweight, compact and affordable. The MOXF supersedes previous "Motif lite" keyboards such as the MOX and MO by far yet is offered at an excellent, affordable price. Go here to check out the Yamaha MOXF6, to buy or read reviews. Go here to check out the Yamaha MOXF8, to buy or read reviews.